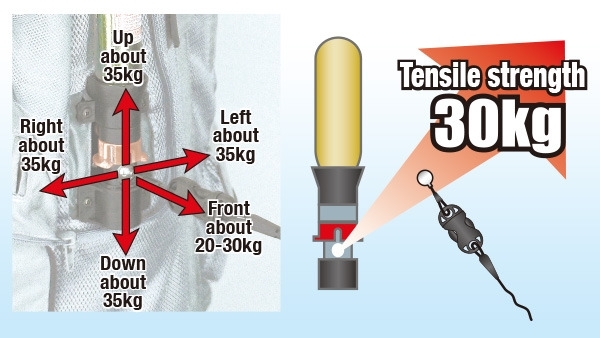 How to hit-air | hit-air airbag system | motorcycle | - hit-air - Werable Airbag | Mugen Denko Co., Ltd.
outerwear when riding a motorcycle. 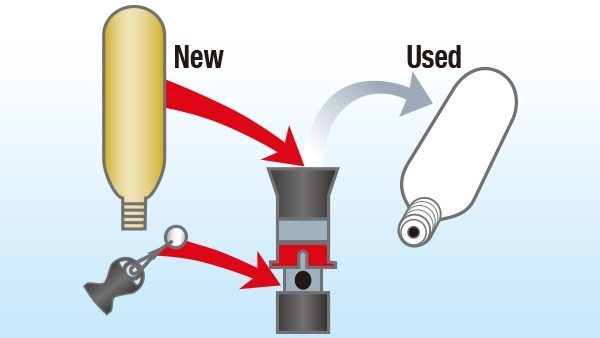 * Do not reuse the gas cartridge once used. A CO2 cartridge with a hole at its bottom is unusable. The key ball requires considerable strength(30-35kg) to be pulled out and will not be released easily because of the elastic nature of the coiled wire , thus the Hit-Air will not inflate under normally anticipated riding conditions including standing on pegs. The key ball holds a compression spring and an interlocking needle in the key box. 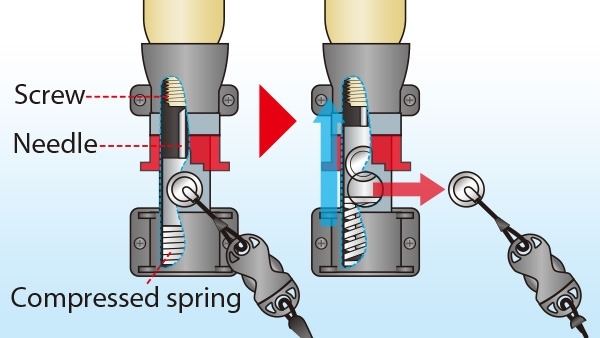 When the system is activated, the key ball comes out of the key box and a needle in the key box is released and punctures the seal of the gas cartridge to inflate the Hit Air immediately. 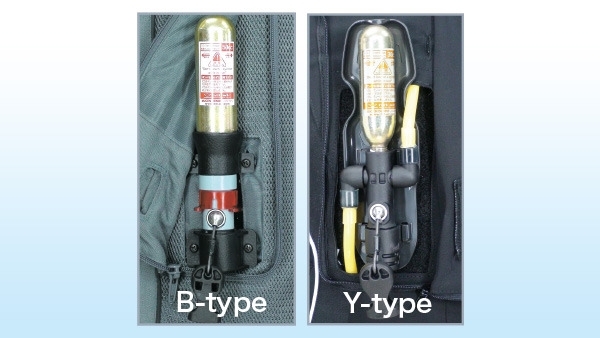 Y-type are small size and a lightweight key box.